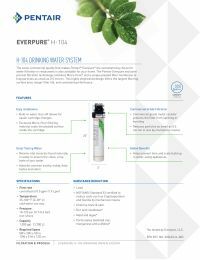 The Everpure H-104 EV9612-11 is the replacement cartridge for the Everpure H-104 water filtration system. The exclusive precoat and Micro-Pure® technology reduces up to 99% of lead, and 99.99% of particulate matter down to 1/2 micron in size including Cryptosporidium cysts. 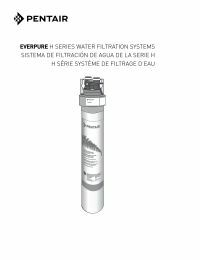 The unique pleated filter membrane reduces dirt, chlorine taste & odor, mold and algae to provide crisp, clean drinking water. 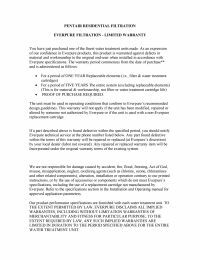 For highest quality filtration, H-104 filter replacements are recommended annually, when rated capacity is reached, or when flow is diminished.